While the signs of rheumatoid arthritis can seem hidden and unnoticeable, they may be more visible than you might think. Although there are indeed rheumatoid arthritis signs that some people might not be able to pick up on, there are still plenty of other symptoms that you’ll be able to notice and clearly identify. What are those signs & symptoms? Take a look below to find out the 12 typical Rheumatoid Arthritis signs and symptoms. Joint pain is the most obvious of all the arthritis signs. Hence, if you have sudden, lingering joint pain and the cause is not visible, it could very well be the onset of RA. Most cases cause a constant, unwavering pain that doesn’t fade over time. 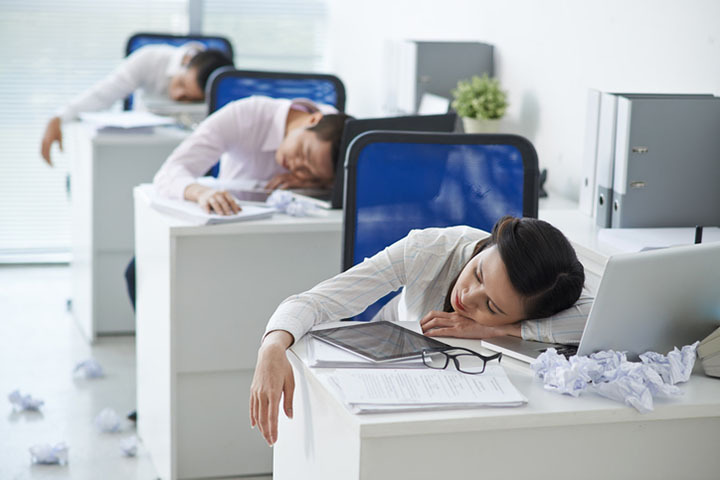 Unexplained fatigue that is not your typical level of “tired.” Your joints ache, and it would just be best for them if you were to lie down and not do anything but rest for a while. A drastic decrease in energy level. In essence, this is a bit like joint fatigue, except that the feeling affects the entire body as opposed to just the joints. This isn’t a little redness; this is swollen to the extreme. Your joints will be enlarged, red, tender, and, of course, painful. This “flare up” won’t be just a freak occurrence but more than likely a daily thing. So this is one of the signs of rheumatoid arthritis that will not be able to go unnoticed, period. This is one of the signs of rheumatoid arthritis that may be hard to pick up on as you may just pass it off as just being the usual “flu.” However, be sure to take notice of the length of the flu and other possible flu-like symptoms. If it is, in fact, just the flu, then it should pass in time and not return too frequently. On the other hand, if it is a fever brought on by RA and accompanies other signs of rheumatoid arthritis, you should check with your doctor for a diagnosis. Glands may start to swell for no apparent reason. If there is no other cause (that you know of), then it is indeed possible you could be suffering from RA. As usual, take into account if you are experiencing other signs of rheumatoid arthritis, so you don’t make a false diagnosis and scare yourself into unnecessary treatments. Rheumatoid arthritis can also cause you to suffer from lack of sleep. This is not only due to the pain but is also part of the overall symptoms of Rheumatoid arthritis. Furthermore, this may cause weakness and loss of energy. You may also feel listless and disinclined to move around. With many arthritic conditions, you will have some stiffness first thing in the morning. However, this stiffness can last for several hours and does not wear off as quickly as other forms of arthritis like Osteoarthritis. Rheumatoid Arthritis may cause you to lose your appetite, which may lead to weight loss. If you find yourself with this symptom, it’s advisable to go for a checkup and know whether you have rheumatoid arthritis. Anemia is a disease that develops when your blood lacks enough healthy red blood cells or hemoglobin. It can be a sign of rheumatoid arthritis. Anemia is caused by a decrease in the production of one’s Red blood cells or an increase in the loss of the red blood cells due to bleeding. Experiencing genuine fatigue means that you always feel tired and lethargic even when you haven’t done anything to cause it. This includes feeling very tired early in the morning after you have just woken up. Your fatigue will prevent you from feeling able to do any task, regardless of how light. This may be a sign of rheumatoid arthritis. Firstly, if you suddenly feel yourself having a running nose, a sore throat or any other sign of the flu, you should have a thorough checkup. Be wary of your surroundings. If it isn’t cold season and you suddenly develop these symptoms out of the blue, there’s a chance it could be rheumatoid arthritis. Remember, these twelve signs of rheumatoid arthritis won’t be experienced every “now & again” but several times a week, if not on a daily basis. This, without a doubt, is the most important aspect in determining if you have RA. If it’s just a temporary thing that passes and doesn’t return, then you’re probably in the clear.